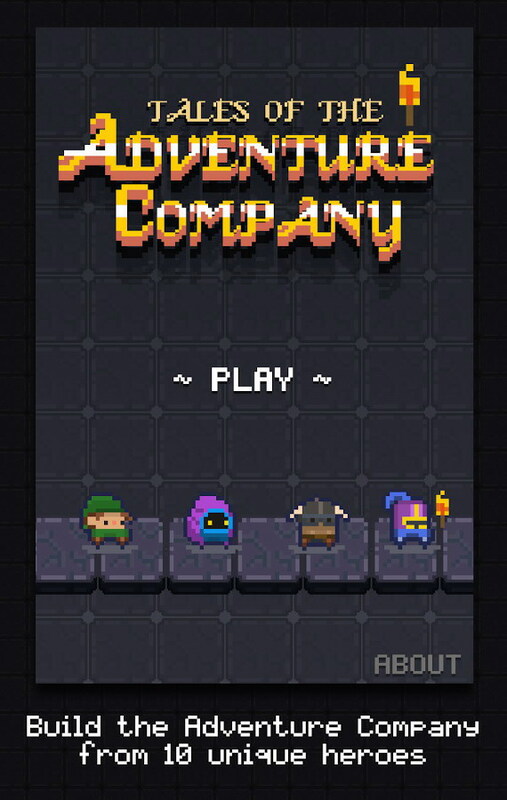 Slothwerks’ Tales of the Adventure Company looks like a fun game to play. 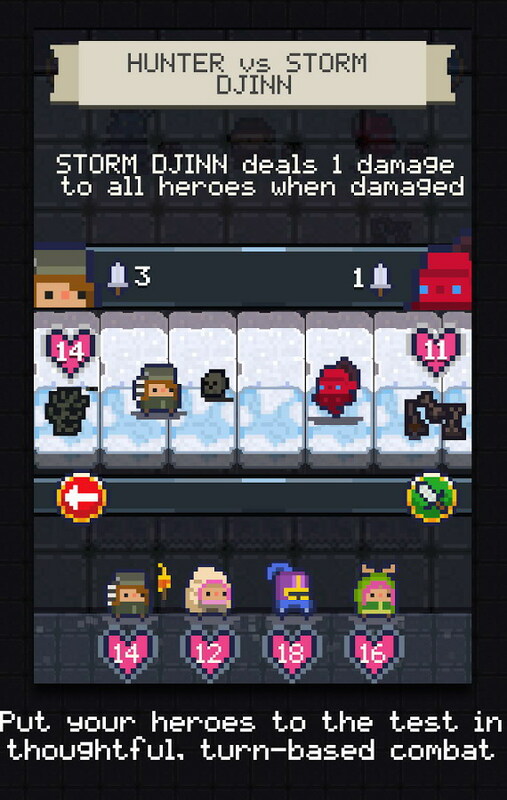 Its got you traversing dungeons in search of monsters hidden beneath tiles who hold the key to the exit. The exit of course is another dungeon wherein lie more monsters and a key to the next one. And so it goes until you meet a big boss whom you must kill in under a hundred moves. Easier said than done, but that’s where the fun lies. 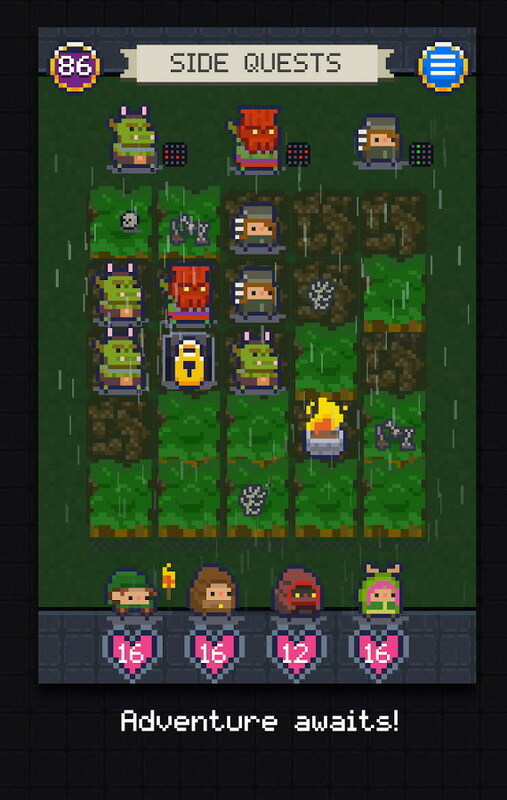 There are over 25 different monsters hidden under the tiles and you must discover the monster who holds the key to the exit, but since you don’t know who holds that key and under which tile he lies hidden, you try your hand at different ones until you get it right. The trouble with some of the monsters is that when discovered they take away a part of your health. 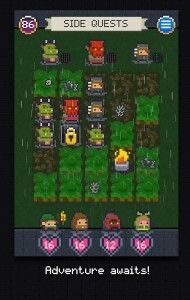 You must fight off these monsters to progress further and although this looks like a hopeless task, the developers have a method to their madness. If you are able to observe and understand the formations in which these monsters appear, you have the advantage. 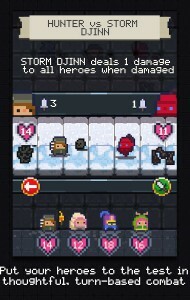 The game can be played across 5 episodes and the more you play, the more heroes you unlock making it more advantageous to progress through higher levels. 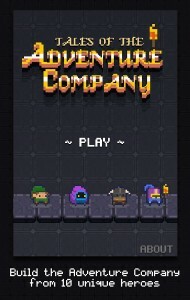 Tales of the Adventure Company is available on the Play Store for $1.99 with the promise of no hidden charges or IAPs.